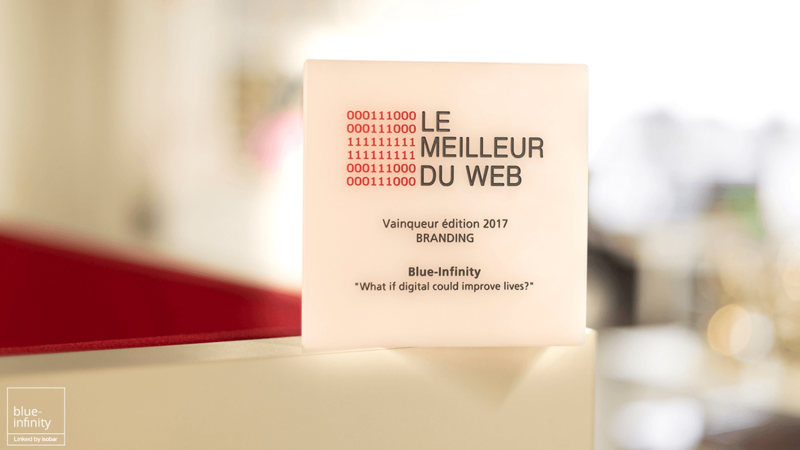 The jury of Le Meilleur du Web (Best of the Web) announced their winners for awards that recognise the most outstanding work of web and digital agencies in western Switzerland. Over 100 entries were received this year. The jury awarded First Prize in the Branding category for our Charity Campaign: What if Digital Could Improve Lives? (view video), thanks to a best in class approach to conveying an idea through a 360 communication initiative, coupling an original and creative approach at both a conceptual and production level, and using appropriate aesthetics to help align the message to the industry, in this case the charity sector. Marie Blanchot, Practice Manager Creative Studio conveys her thoughts on behalf of the team, "We are truly grateful for this recognition received at Le Meilleur du Web. Once again, our team has been chosen among tight competition, for a campaign that has truly made a difference to people's lives. We're proud of our work, especially when it goes so far beyond expectations." blue-infinity's work was shortlisted for Hublot (view video) in the Innovation Category, and for our inspirational campaign for the International Ice Hockey Federation (view video) in the Creation, Digital Communication in Sport, and Video Categories. As recognition for their efforts, the winning teams took away the Meilleur du Web “Cube”. Le Meilleur du Web's goal is to push digital agencies to strive for excellence, year after year. The 5th Edition was held at Rolex Learning Centre. Prizes for nine different categories were organized by Victoria Marchand (Cominmag) and Thierry Weber (Breew.com). Le Meilleur du Web is partnered with the Best of Swiss Web in Zurich.